The winning team will receive 2x Nintendo Switch, 2x Bose® - QuietComfort® 35, 2x Phillip Hues Smart Home Kit, 2x GoPro Hero Session. The runner up team will receive 2x Bose® - QuietComfort® 35, 2x Samsung Curved Monitor. All teams are eligible for the Safety track beginner prize of $400 if at least one member of the team is a beginner, where a beginner is defined a person who has never attended a hackathon before. The winning team will receive 2x Nintendo Switch, 2x Bose® - QuietComfort® 35, 2x Phillip Hues Smart Home Kit, 2x GoPro Hero Session. The runner up team will receive 2x Bose® - QuietComfort® 35, 2x Samsung Curved Monitor. All teams are eligible for the Equality track beginner prize of $400 if at least one member of the team is a beginner, where a beginner is defined a person who has never attended a hackathon before. The winning team will receive 2x Nintendo Switch, 2x Bose® - QuietComfort® 35, 2x Phillip Hues Smart Home Kit, 2x GoPro Hero Session. The runner up team will receive 2x Bose® - QuietComfort® 35, 2x Samsung Curved Monitor. All teams are eligible for the Empowerment track beginner prize of $400 if at least one member of the team is a beginner, where a beginner is defined a person who has never attended a hackathon before. Each member of the winning team gets a Google Home Mini and a Chromecast. Winning team members each get $125 Amazon Gift Card and a Fannie Mae Swag Bag. Runner up team members each get a $50 Fannie Mae Swag Bag. For our challenge, we are asking participants to develop an application using the blockchain concept. Your app can be anything, as long as it leverages the concept. It does not have to be related to Fannie Mae, but if it is it may receive a bonus point! Potential uses of blockchain related to Fannie Mae are House Ownership, Mortgages, Trading platforms, Securities (MBS or Mortgage Backed Securities), Derivatives, Home Insurance. Judging is based off (1) completeness of understanding of blockchain / description of the system, (2) Completeness of the solution, (3) Interesting application of the technology, and (4) Visual presentation of the application. Members of top team get Amazon Echos. Any use of location data is eligible. Sponsored by the Institute of Advanced Technology in the Humanities at UVA. The Social Networks and Archival Context (SNAC) project aggregates biographical information about people, corporations, and families, who created or are documented in archival resources. We challenge students to use SNAC’s internet-accessible API to explore the documentary-social network, to discover identities and archival materials associated with groups normally underrepresented in large-scale archives, and to then create engaging visualizations that depict that diversity itself or its relation to the whole dataset. Sponsored by Green IT. Winning team receives $500. First place team will receive $375 Amazon gift cards per hacker. Second place team will receive $250 Amazon gift cards per hacker. Third place team will receive $125 Amazon gift cards per hacker. SAP Solutions include tools like OpenUI5. Will provide more detailed information the day of. Ads, bots, and paid narratives have become the new normal. Increasingly, the ability to generate “mutant content” and create credibility has become a cyber-security threat. Many of these tools compromise safety by collecting information, suppress diversity, and serve as precursors to phishing attacks. We would like you to automatically classifying content with respect to its sponsorship. This can take the form of detecting ads in text, picking out paid video reviews, anomaly detection in sentiment analysis, or any similar classification problem. $250 per member for the team with the best financial hack. Hack.UVA 2018 is all about diversity! We've got three tracks: Safety, Equality, and Empowerment. Safety is providing physical and emotional security to those in need. Equality is eliminating social and economic imbalances. And Empowerment goes beyond breaking down barriers by giving people the tools to succeed. Participants must be at least 18 years in age. Teams can have at most 4 people. 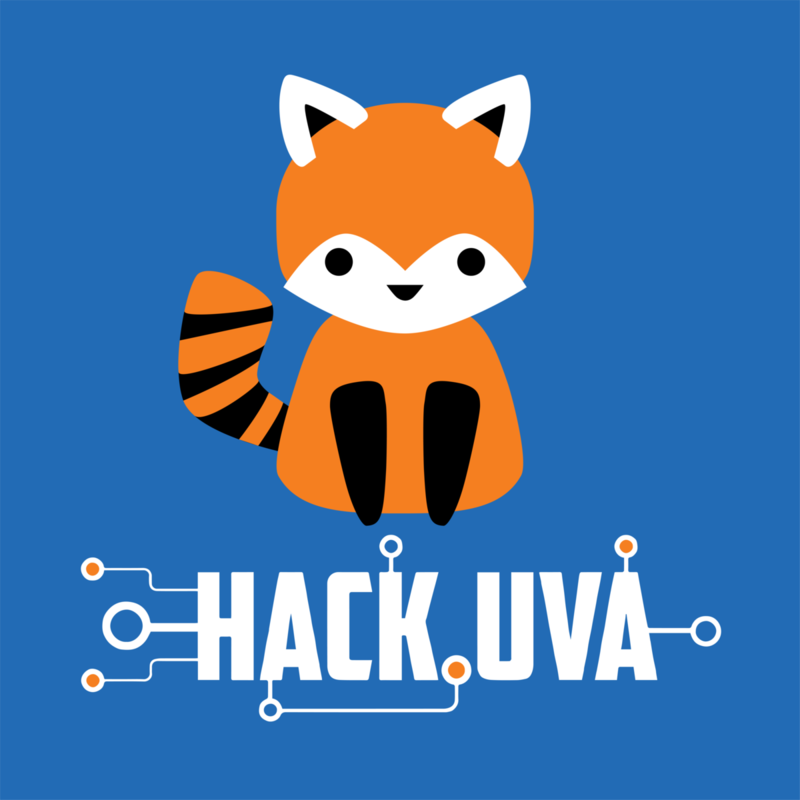 To participate, you must be registered for Hack.UVA 2018 @ hackuva.io. You must submit here on Devpost! Make sure to submit to this hackathon and not just to Devpost. You can also submit on HackerEarth if you want.